This tutorial works with Angular 6. 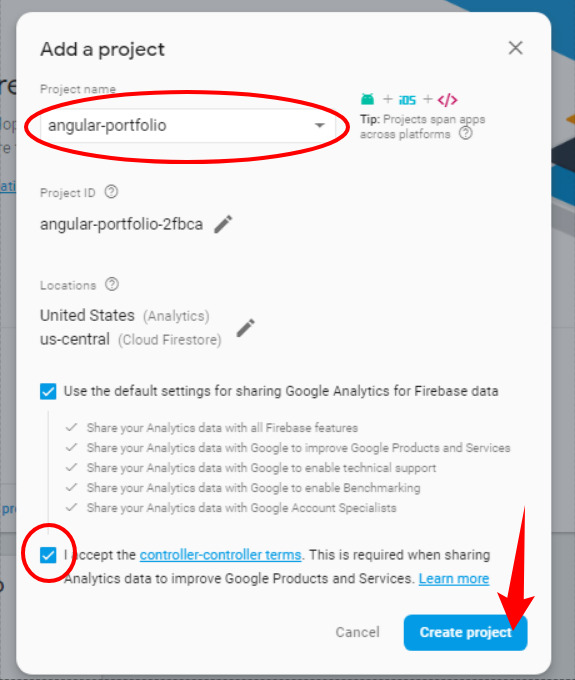 This is our third tutorial of the Anguar 7 course to create a developer's portfolio website that showcases your projects that you will be able to enter from an admin interface that can be only accessed after you successfully login with your email and password. In the previous tutorials, you have created an Angular 7 project with various components and pages. You will now add email and password authentication with Firebase. Note: Since we only need to allow admin access to the portfolio owner we only need to provide login and logout functionality in our application without allowing registration. A user with email and password will be manually created in our Firebase console. We have previously created the developer's portfolio project in the previous tutorial. So, we are not going to repeat the steps in this tutorial. If you would like to follow the complete Angular 7 course then you simply need to start from that tutorial otherwise, you can also implement Firebase authentication in your existing project or create a new Angular 7 project using the ng new command. 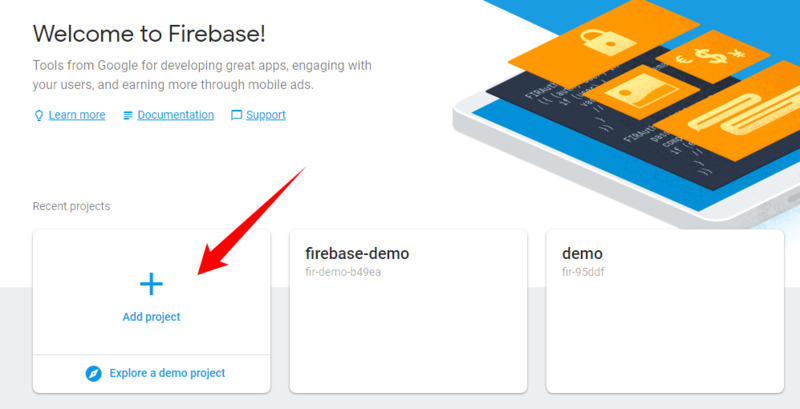 If you don't already have a Firebase setup, you simply need to head to your Firebase console and click on Add project then follow the steps to create a Firebase project. Once your project is created, you need to click on it to go to the admin dashboard for that particular project. On the dashboard, go to Develop > Authentication and click on the Web setup button. In our case, we only need to values of the config object because we'll be installing Firebase SDK from npm. One last thing that you need to do from the console is creating a user with email and password that you'll use to login because we will not allow registration from our web application. Only the website admin will be able to access the admin interface to create their portfolio. As of this writing firebase v5.7.1 and angular/fire v5.1.1 will be installed. 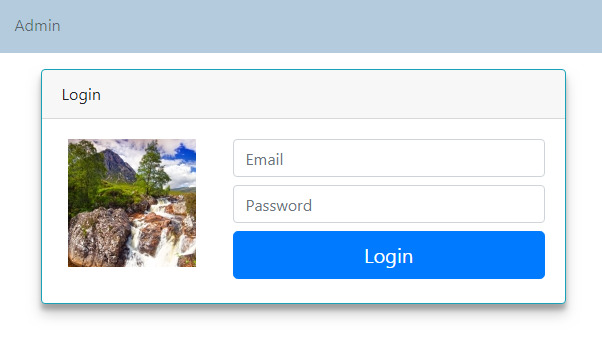 After setting up Firebase authentication in our project using AngularFire2 v5, we'll now proceed to create a login UI. We are done with the authentication service. 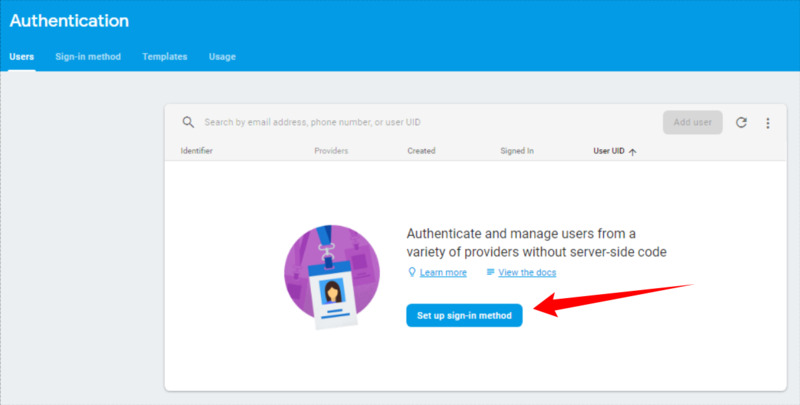 Next, we need to create the login and register UIs. 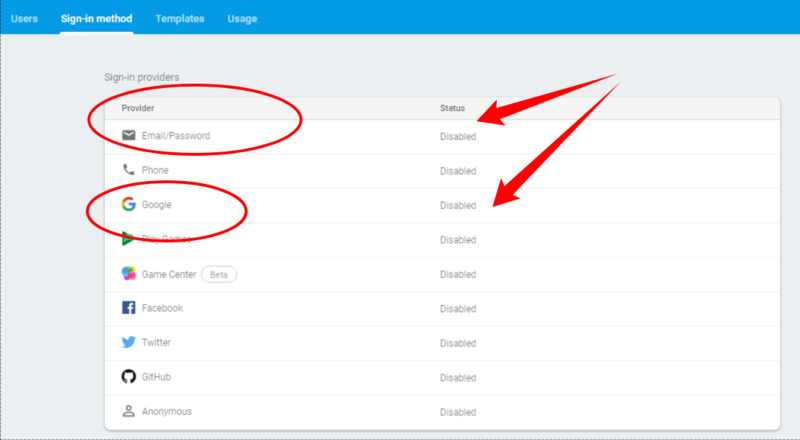 In the next tutorial, you'll use Angular 7 guards to protect the admin interface from unauthorized access i.e you will only be able to activate the route if you have successfully logged in with your email and password you provided when you created a user in the Firebase console.